Along the lines of headphones…can you recommend a few choices of headphone for the home studio VO artist? Absolutely, including one which I’ve been using for over 2 decades, and the other I use more and more frequently. Here’s info on the two headphones I use all the time. You can use either of them effectively in a home studio situation, and easily with the AT-2020 USB Plus microphone. One is the Sony MDR 7506 headphones, and the other is what I call the Sony $10 earbuds. 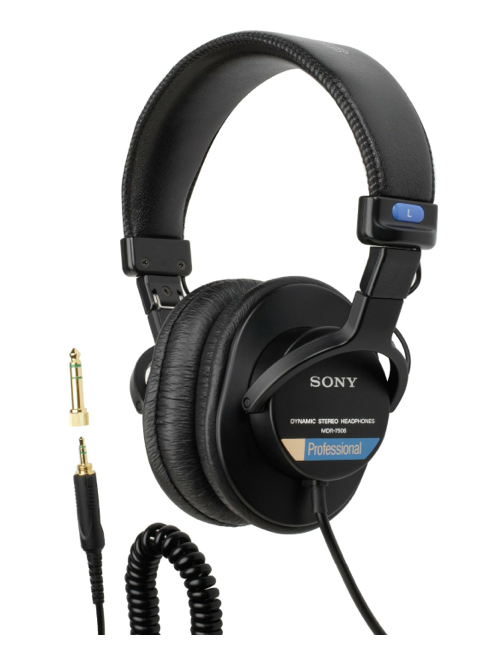 Here’s a link to the Sony MDR 7506 headphones that I use. 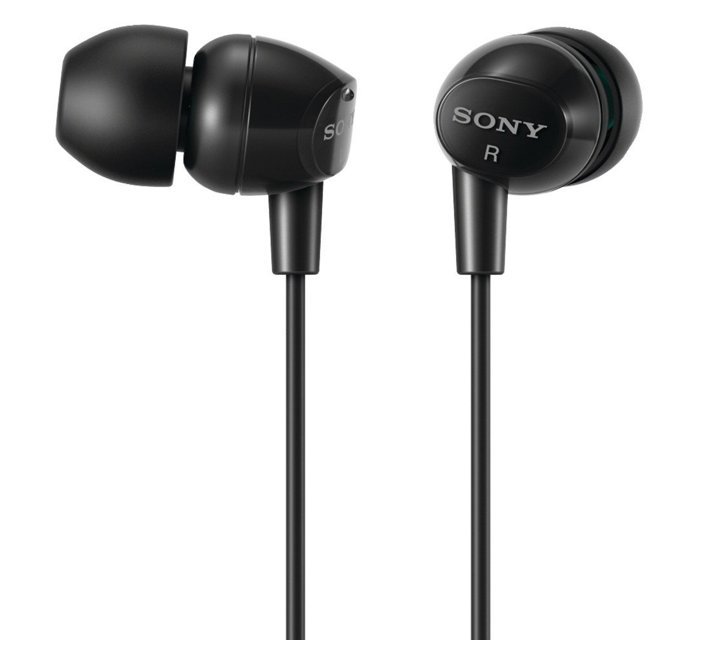 Here’s a link to the Sony MDREX10LP Earbuds that I use. Two things changed my life. Two, when David Lawrence told me about the Sony $10 headphones. I immediately bought several pair, and carry them in all my bags. My go-to headphones are the audio-technica ATH-M40fs. They’re fantastic over the ear cans for a relatively low price ($50 on Sweetwater right now), low bleed, completely flat EQ, so you hear exactly what’s being recorded. Also in use in a couple studios I’ve been in. Those earbuds can take abuse, too. I bought two pairs at David’s recommendation a few years ago. Ever since I’ve bunched them up and stuffed them in desk drawers or a backpack, stretched the wires pulling them out of my ears, and occasionally stepped on them. The second set remains in its box as back-up. I continue using the first pair, which has taken all that foul treatment and still works perfectly. I have the classic Sennheiser HD 414 which was reissued and updated in1995. I have new yellow pads. for them. When i bought them they had a raffle for a new classic VW Beetle. By the time I bought them the contest expired. Each video? Audio version? Of what? Are there any wireless over-ear options you’ve tried that maintain fidelity at an attractive price point? Ah. Each class in the curriculum is $75. If you want to take any class, just visit https://vo2gogo.com/vclasses and scroll to the class you want. If you haven’t yet purchased that class, you’ll be given instructions o how to register.